Ema mino > News > Photo package for all sweet kids!! Photo package for all sweet kids!! We are going to the end of March and cherry blossom season of Japan is coming soon. Many couples and families of our customers also will go to Japan for their pre wedding and family photo. 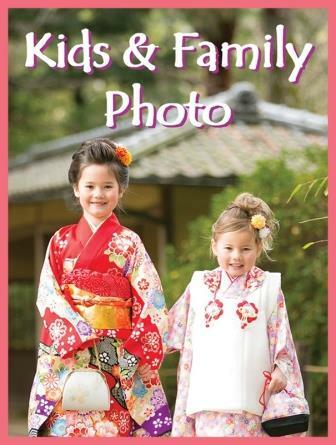 And here is a new package “Family photo with Kimono” that we just start to provide, which is good suggestion for families planning to go to Japan with children. 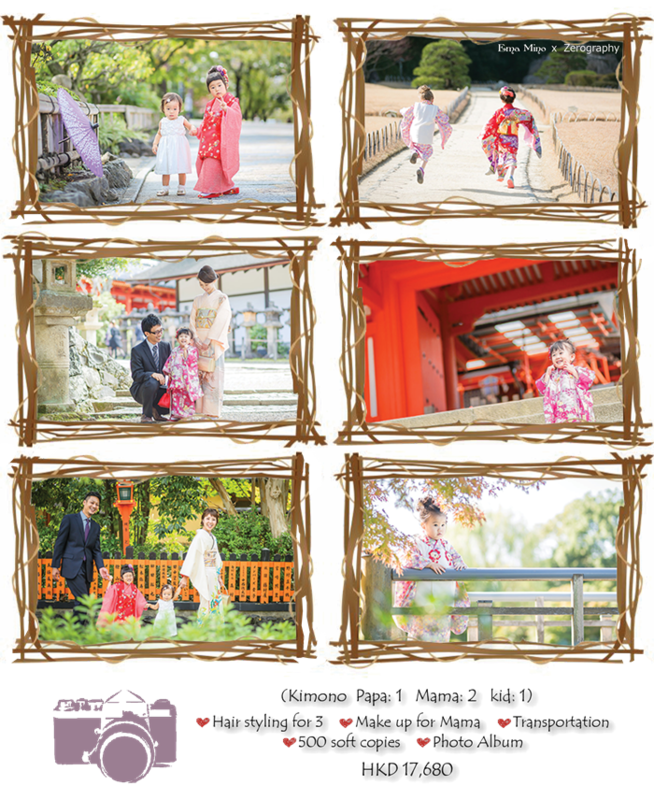 This package that we offer with our partner Zerography, dress Kimono on your sweet kids for photo shooting in Kyoto, Osaka and Nara prefecture. Of course we serve in popular cherry blossom season and maple leaf season, and you can choose shrine as shooting location too. So it must be a great deal for your memorial trip to Japan. We have a culture called “Shichi-go-san (七五三)”in Japan that we celebrate kid’s growth. Girls wear Kimono when they are 3, 5 and 7 years young and boys wear when they are 3 and 5 years young, and family celebrate their growth and pray for their health from now on. Zerography has Kimono selection for this habit, and mostly girls up to 8 or 9 years young can wear this Kid’s Kimono. Because father wears suit and mother wears Kimono Tomesode or Houmongi (留袖 or 訪問着) in Japanese habit, so Zerography has those Kimono too for your choices. Otherwise you can wear Uchikake (色打掛), Shiromuku (白無垢) or Furisode (振袖) as same as when wives wear wedding dress for their years anniversary and husbands can wear Haori-Hakama (羽織袴) too. Those all are included in a package. When they look back a photo album 10 years later they feel like they want to come back with family again… We are now starting to give you such unforgettable photos and memories. *Please be noted the price HKD 17,680 is as of 22nd March 2017. 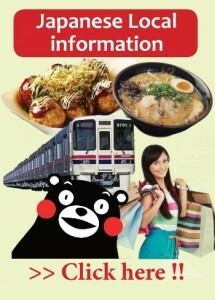 It is likely to be changed by currency rate and other seasons.